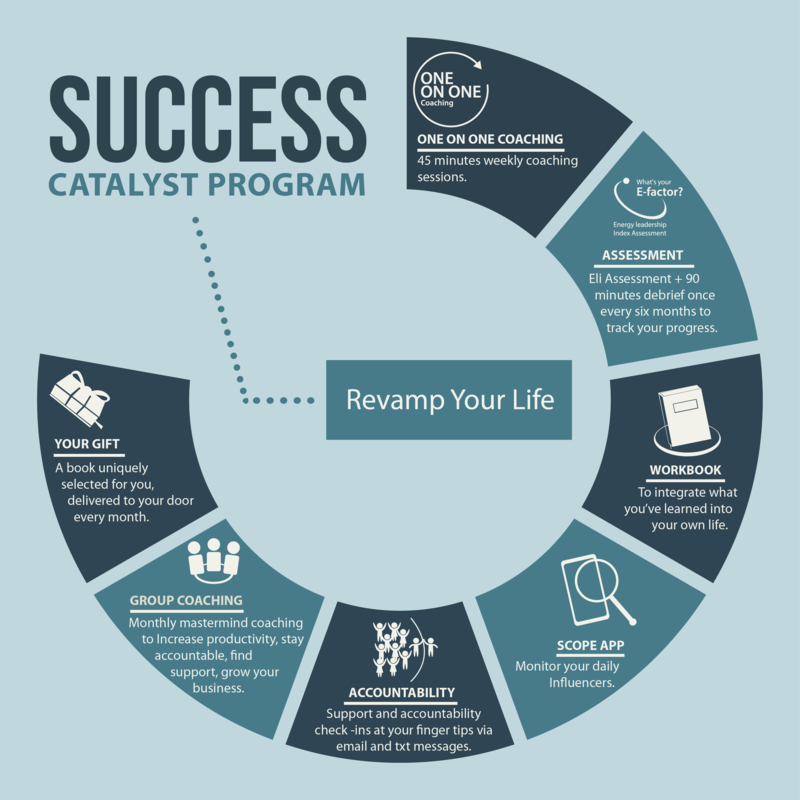 Catalyst Program. Motivation Mastery, Revamp your belief system, discover the Secrets of Success. • Form clear intentions that will help you move from where you are now to where you want to be. • Understand what holds you back and how to get passed these barriers. • How to have a growth mindset. • Have a framework that you can use again and again for drilling down into your goals. • Define a compelling vision, set & achieve massive goals. • Learn proven strategies used by successful people. • How to turn something negative into positive. • The 10 disciplines that successful people focus on. • The six influencers factors, how to maximize them to increase your leadership performance. • Actionable, practical strategies and tools that you can use right away. • What your energetic profile make-up is and which emotion you use each day to lead your life. • A willingness to take action. • An open mind that’s Ready For Change And Growth. • If you have goals and dreams then this is for you. • If you want support as you take your steps to success. • Anyone who wants to experience their true, unbounded self. • Anyone who wants to think, feel, and act more successfully in every area of their life. • Anybody (men, women, students, Entrepreneurs, self-starters, CEO’s, entrepreneurs, etc.) who is ready to become everything that they can be in life. • A book uniquely selected for you delivered each month to your doorstep.